Those Avatar sequel titles that leaked late last year are the real deal. Director James Cameron has confirmed the news, but isn't sure if all of them will make the final cut. After years of waiting, it was just announced that Avatar 2, along with the other three sequels, will begin filming live-action portions in New Zealand starting this spring. Principal photography on the motion capture footage wrapped late last year. Cameron has taken on a massive project that sees him trying to make four movies at once, which is highly ambitious, even for Cameron. 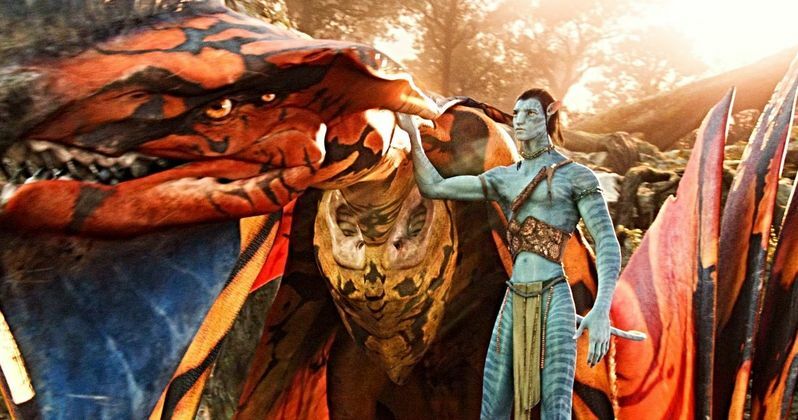 In a recent interview, James Cameron confirmed that Avatar: The Way of Water, Avatar: The Seed Bearer, Avatar: The Tulkun Rider, and Avatar: The Quest for Eywa are real titles for all of the sequels that he has planned. Since the titles were leaked last month, they were met with some skepticism. However, Cameron says that they are all still in the running. "I can neither confirm nor deny... All right, here's what I'll tell ya. Those titles are among titles that are in consideration. And no final decisions have been made yet." Avatar: The Way of Water, Avatar: The Seed Bearer, Avatar: The Tulkun Rider, and Avatar: The Quest for Eywa are all real. Obviously, the Avatar 2 title seems the most fitting, with the third sticking out like a sore thumb. It's entirely possible that the titles were leaked on purpose as a way to gauge the public response to them in some grand marketing scheme. But, it's pretty early on in the process for the titles to become public news and as Cameron says, they can all change between now and when they hit theaters. It was revealed earlier this week that Edie Falco has hopped on board the Avatar sequels, which also includes Kate Winslet, Zoe Saldana, Stephen Lang, Sam Worthington, Sigourney Weaver, and more. Details are being kept under wraps, unlike the titles for the movies, but fans are looking forward to see if James Cameron can get even close to the box office success of the original movie, which is the highest grossing movie of all time. Cameron is the king of the box office, holding both the number one spot with Avatar and number two spot with Titanic. There is massive pressure to make the Avatar sequels stand up to the original. The box office isn't the only place that James Cameron is competing with himself. The director is also pushing the envelope with the visual effects that were seen as groundbreaking at the time of the first movie's release. However, the director has already helped to create a new way of shooting motion capture under water, which is supposed to be pretty amazing. Hopefully we'll get a look at Avatar 2 in the coming months. You can check out the interview with James Cameron over at Entertainment Tonight.